Langley Guards and Bite Appliances | Aspirations Dental - Dr. Dale Machine Inc. The two biggest risks of injury to your teeth are from playing sports and grinding your teeth. To protect against loss and damage, Aspirations Dental offers custom-made sports guards and bite appliances. Like any town in Canada, Langley loves hockey. Few people, however, love hockey smiles. 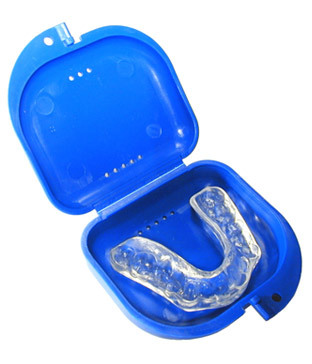 To protect your teeth from injury while playing hockey, or any other sport, we offer custom-made sports guards. Our guards fit comfortably over your teeth, leaving you free to focus on your game. Do you grind your teeth in your sleep? The condition, called "bruxism," affects many Canadians and can lead to severe damage to your teeth, gums and jaws over time. We can fit you with a bite protector that will prevent you from grinding your teeth by holding your jaws in place while you sleep. If you play sports or grind your teeth, give us a call to discuss how a custom-made guard can protect your teeth against loss or serious damage.